Products in the Pro IQ range are handmade of 100% recycled aluminium at our factory in Denmark. The Pro IQ range is suited for all cooktops, including induction. Aluminium is not magnetic and is thus not induction compatible. Therefore we cast a steel disc in the base of the Pro IQ products with a special casting technique, assuring an optimum and even heat distribution. 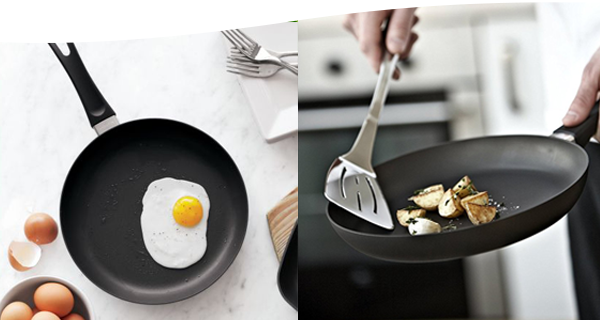 Products in the Pro IQ range have the famous SCANPAN non-stick coating, which is hard-wearing and very easy to clean. 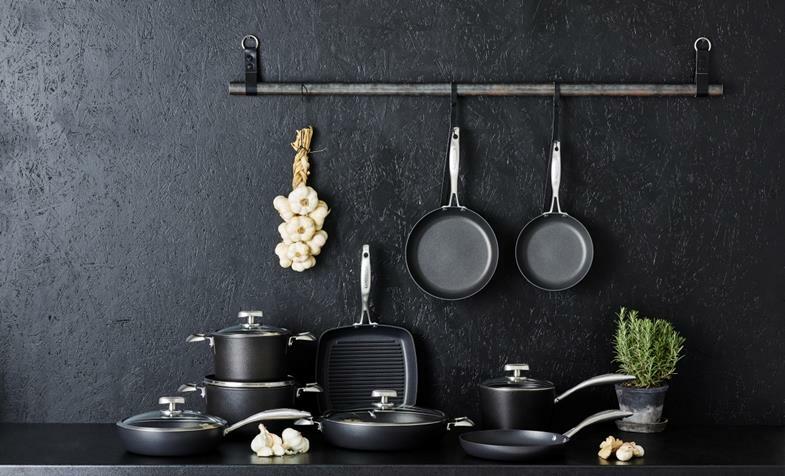 In addition to the user-friendly features given by materials and production technique, pans and pots from the Pro IQ range are formed in a characteristic cool design with softly curved stainless steel handles and a glass lid with steel rim.